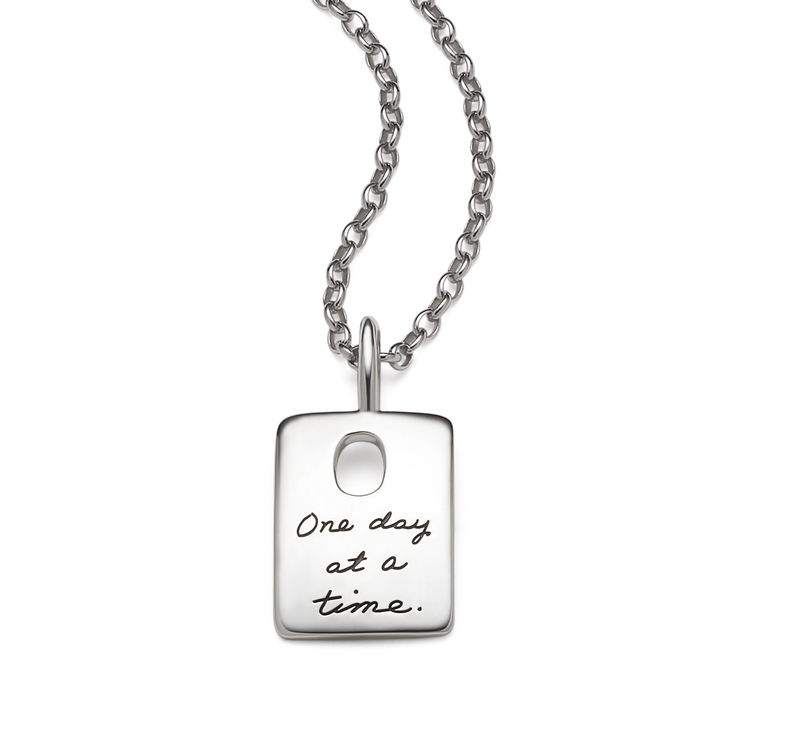 Delicate engraved handwriting graces this simply elegant sterling silver token that contains the inspirational mantra, “One day at a time.” When you give this gift, you give the gift of mindfulness. Whenever the shining silver catches her eye, she’ll remember to stop and enjoy the moment. This necklace is available on an 18” sterling silver chain or an adjustable black cord.